Strangely enough, this is not a problem with just one of the phones in this category but ALL phones released in this way share the exact same fate as a limited run followed by poor sales and finally being discontinued. Most phones are sold for around 18 months however none of the phones below lasted more then 6. HTC’s earliest entry into the Social First line of phones was the HTC Salsa. Although this phone had a familiar Android 2.2 interface with Sense, the phone was the first to include a dedicated “Facebook Button” on its over-sized chin. This button served only one purpose, to launch the Facebook application from the app drawer. The phone had modest specifications that put it on par with many of the mid-range phones at the time. The phone had a decedent camera and was not a terribly bad seller when it was discontinued. Out of all of the Social Phones, the HTC Salsa was actually on the shelf longer then any of the other phones on this list. HTC decided to push the envelope of the limited success of the HTC Salsa with the HTC Status which was also known as the HTC ChaCha. This phone took a few steps back from the HTC Salsa by shrinking the screen to a paultry 2.6 inch display with a measly 480×320 resolution. This screen made several third party applications and games unusable on this phone. The phone re-introduced a feature that was considered dead in the mobile world (sans Blackberry), a physical keyboard to allow users to over-post on facebook with ease. Like the HTC Salsa, the HTC Status included a dedicated Facebook Button. HTC seems to be a glutton for punishment after failing to learn their lesson after the abysmal failure of the HTC Status and Salsa, HTC went on to release the HTC First. 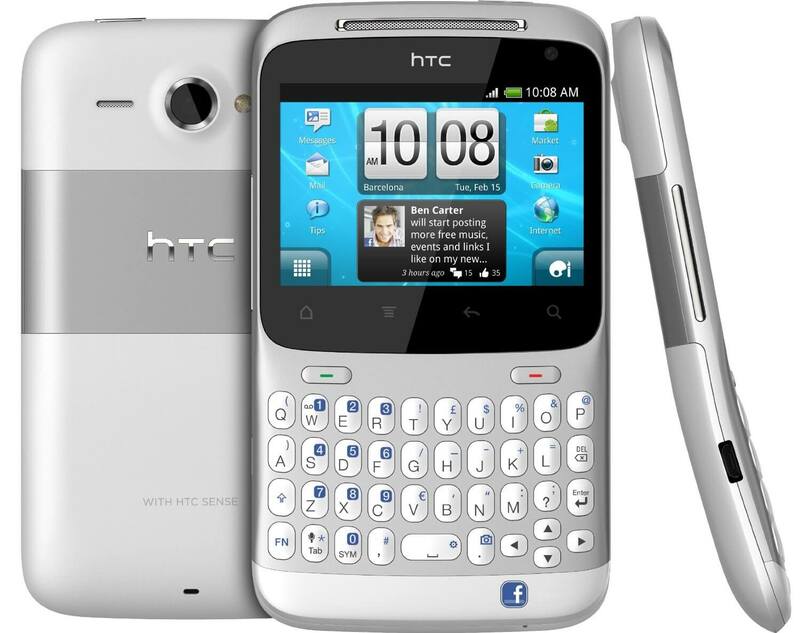 Unlike the Status and Salsa, the HTC First was actually built like a flagship rather then an entry level gimmick. The phone featured a Dial Core Snapdragon 400, 1 GB of RAM, 16 GB of Space and a 720p Display which was above average in early 2013. The phone also shipped with Android 4.1 out of the box however was not around long enough to ever see an OTA Upgrade. Like the HTC Salsa and HTC Status, the HTC first had deep integration into Facebook. The familiar Android Launcher that we all know and love was replaced with a custom user interface called Facebook Home that many of Facebooks most commonly used functions at your fingertips. The phone carried a few exclusive features such as a dedicated Facebook Messenger and floating “chat heads”, a feature that would eventually find its way only all Android Phones in which a user installed Facebook on. Furthermore, the phone was discovered to be running a clean, stock, AOSP build of Android under the Facebook Home Launcher. The phone was the first HTC phone to be devoid of HTC Sense. The phone was quietly discontinued by its exclusive carrier, AT&&T on May 13th by reducing the price from $199.99 (on contract) to under a dollar in order to clear up the remaining stock. The funny thing is that this phone actually sold more units after being discontinued then it did during its brief launch. The Microsoft Kin and Kin 2 are often considered two of the biggest failures in the tech industry and used to be poked fun of quite a bit. The phone put all of its eggs in one basket known as MySpace… remember when that was a Social Network, not a defunct music service? The phone was an exclusive on Verizon Wireless and was technically discontinued within a few weeks of being launched and the Kin Servers were pulled down less then a year later. Too bad that Microsoft and Verizon sunk millions of dollars into R&D and advertising. The phones that were not sold were re-flashed with a version of Windows CE and released to a few markets. First and Foremost – STOP IT HTC. It makes no sense to continue playing Russian Roulette with 3 bullets already in your forehead. You cannot afford to keep making these mistakes. People use their phones for a lot of tasks and some have even gone as far as allowing their laptop/desktop to collect dust in favor of their mobile phones. Social Networking is a big part of many of our lives however as these phones have shown, it should not be the focal point of our lives. Social Networks come and go, Facebook is popular right now but Google Plus, LiknedIn, Twitter and Instagram are all also widely popular. Having a basic phone and allowing users to choose which Social Networking applications they wish to use simply makes more sense and if history shows us also significantly increases the phones lifespan.